Welcome back to The Game Informer Show! On today's episode, we're joined by a very special guest to celebrate the podcast's 400th episode and we also have a lot of great games to talk about. First up, Kimberley Wallace and Joe Juba talk about their time playing and enjoying Detroit: Become Human on the PlayStation 4. Oh, and Kim has played Kingdom Hearts III. Then Dan Tack and Suriel Vazquez join the show to talk about playing Call of Duty: Black Ops 4 and Dark Souls Remastered. After some great community emails (with only one major video technical snafu), we break down what we know and hope for in Sony, Nintendo, and Microsoft's press conferences for E3 2018. You can watch the video below, subscribe and listen to the audio on iTunes or Google Play, or listen to episode 400 on SoundCloud. 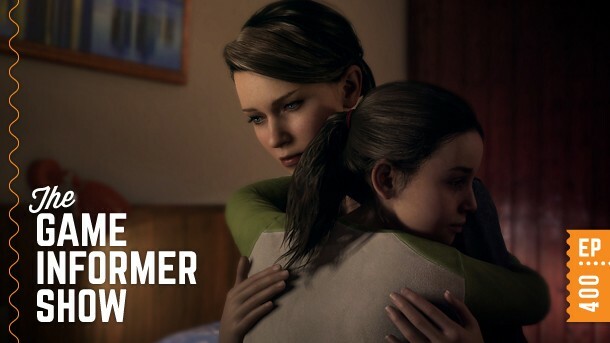 Also, be sure to send your questions to podcast@gameinformer.com for a chance to have them answered on the show!